following an investigation since late August. “Today’s decision by the ACCC to greenlight the takeover of Fairfax Media by Nine is a body-blow to media diversity,” the MEAA said in response. MEAA chief executive Paul Murphy says the removal of the two-out-of-three media ownership rule in 2017 paved the way for such deals. “The ACCC seems to have neither the will nor the regulatory tools to block transactions like this,” Murphy says. The MEAA says the decision ignores concerns such as what the impact will be on editorial independence, jobs, employment conditions and whether the mastheads will continue to operate. While the ACCC found the merger will likely reduce competition, it said it won't substantially lessen competition in any market. It also said that the emergence of online media companies will provide some degree of competitive constraint. However, the MEAA says new entrants don't have the capacity to conduct journalism on the same scale as Nine, Fairfax and other large media companies. “Despite the ACCC recognising this, it has chosen not to place any conditions on the merger,” the union says. In response to the merger, Murphy said it will present the new Fairfax owners with a revised charter of editorial independence and also ask them to guarantee there will be no closures of newsrooms or titles while maintaining existing wages and employment conditions. 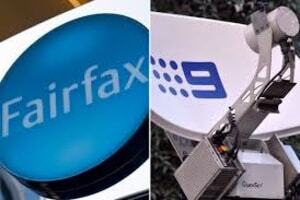 The Media, Entertainment and Arts Alliance has slammed the Australian Competition and Consumer Commission for approving the Nine-Fairfax merger, calling it a “body blow to journalism”. The proposal by Nine to acquire Fairfax was approved this morning following an investigation since late August.